Our mission is to provide the most effective, efficient, comprehensive and safe pest control services for your homes and your families. 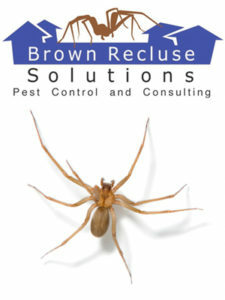 At Brown Recluse Solutions we stress a proactive approach to pest control. Brown Recluse Solutions uses aspects of each particular pests biology and behavior, knowledge of home construction and pest movements through structures, along with knowledge of pesticide toxicity and chemical composition to identify and eliminate problems before they become major issues. The main goal of our brown recluse solutions is to provide long term control of brown recluse spiders through home modification, pest elimination, and exterior control while creating a safe, pest free environment. We also want to remove stress and fear from your life, by keeping these highly feared spiders under control!